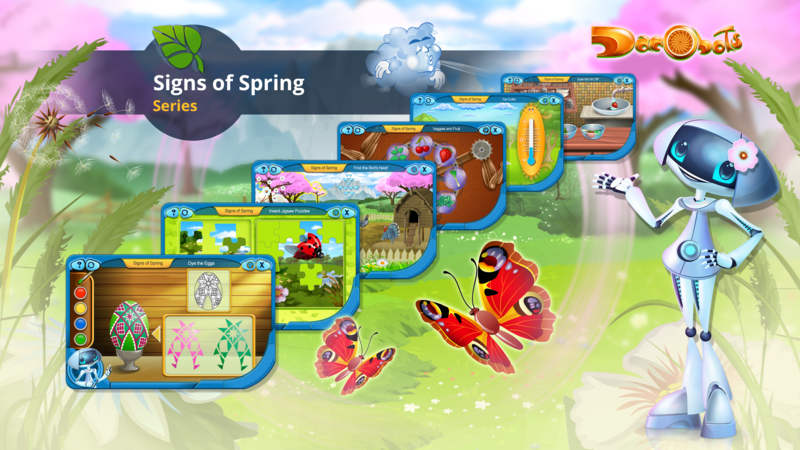 Greet the new season cheerfully with the ‘Signs of Spring’ series! The Dacobots team is as excited as we are about the joyful atmosphere of spring! 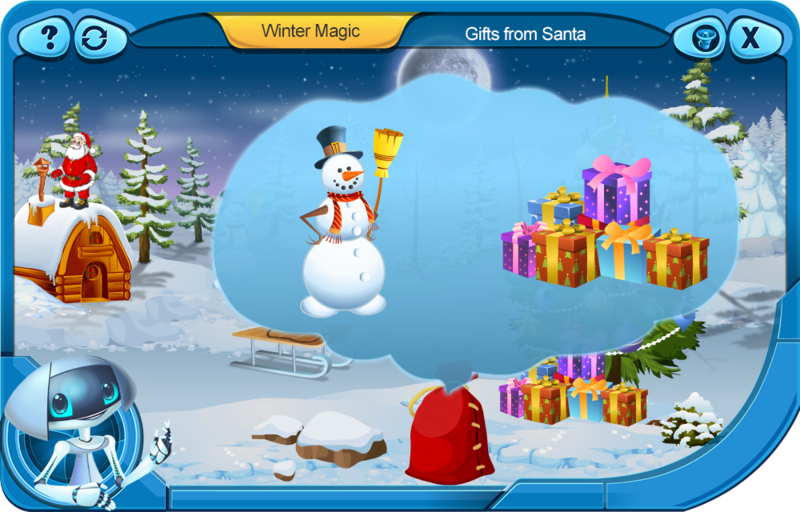 The five robots have prepared some seasonal gifts for all the children aged from 3 to 7 on the dacobots.com portal! The gifts they prepared are quite uncommon – they consist of educational games! 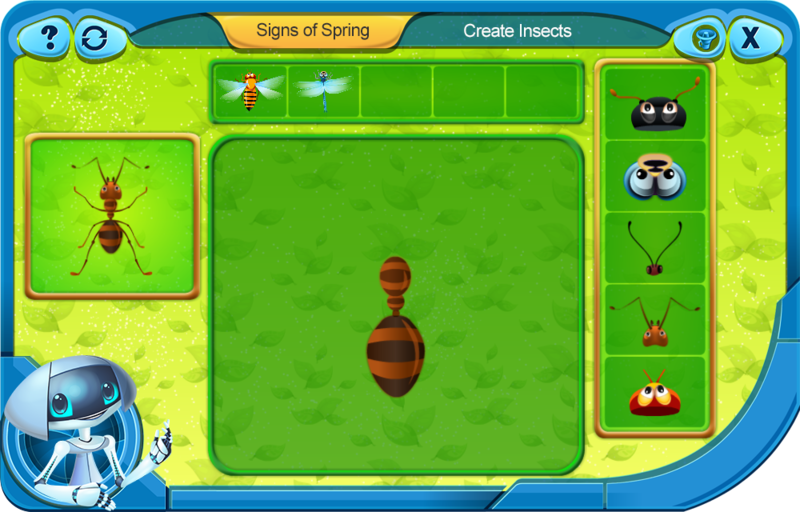 The 26 educational games included in the ‘Signs of Spring’ series introduce children to the colorful and lively world of the first warm season. Pre-schoolers can now be familiarized not only with the birds, insects, and flowers that appear in spring, but also with the human customs, fruit, and vegetables that are specific to this season. 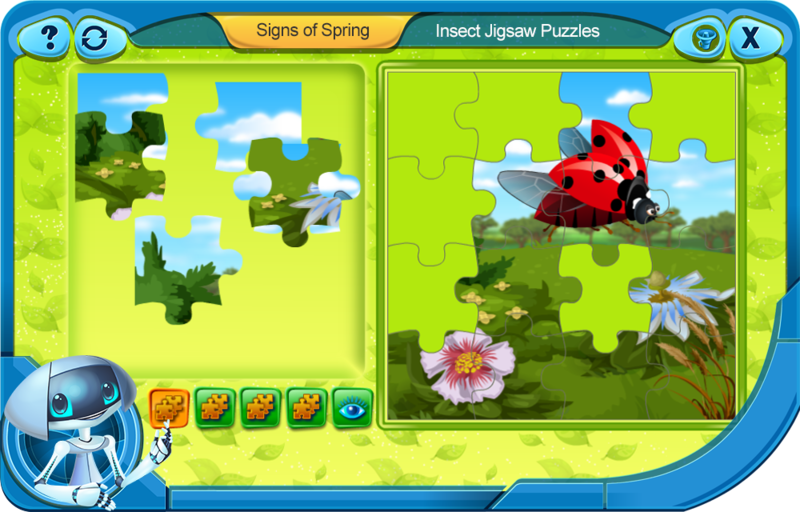 Derzelis invites you to color, calculate, tend the garden to prepare it for spring, plant flowers, learn about insects by building them yourself out of their component parts, and train your brain by solving spring-themed jigsaw puzzles and riddles. Are you ready to discover the ‘Signs of Spring’? Let’s start! Improve your imagination, develop your creative spirit, and learn about the customs that some people on Earth have on Easter! 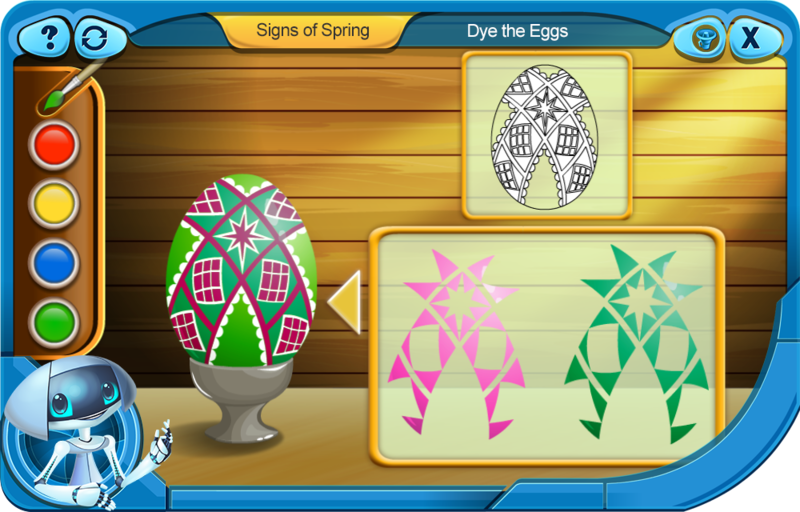 In this game, you will dye and decorate Easter eggs using your favorite colors and patterns! 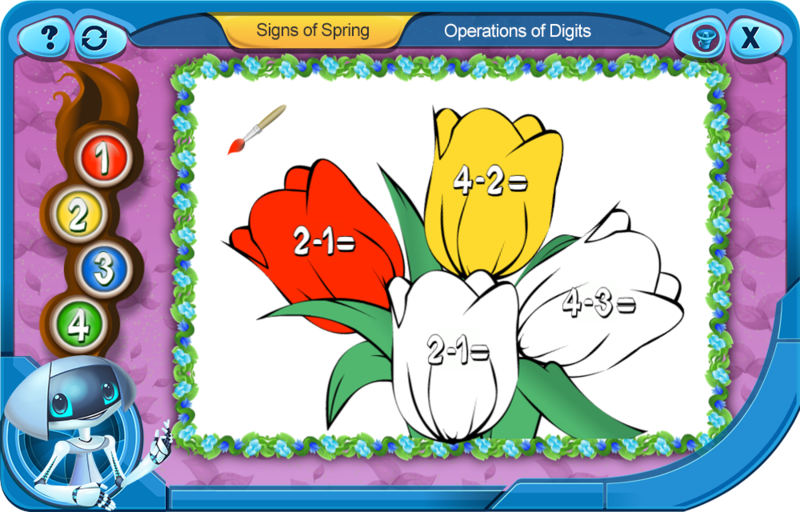 Let’s color some pictures using colors and... mathematical operations! Do the calculations shown inside the outlines, look at the numbered colors and pick the ones that match the result, and then use the paintbrush! 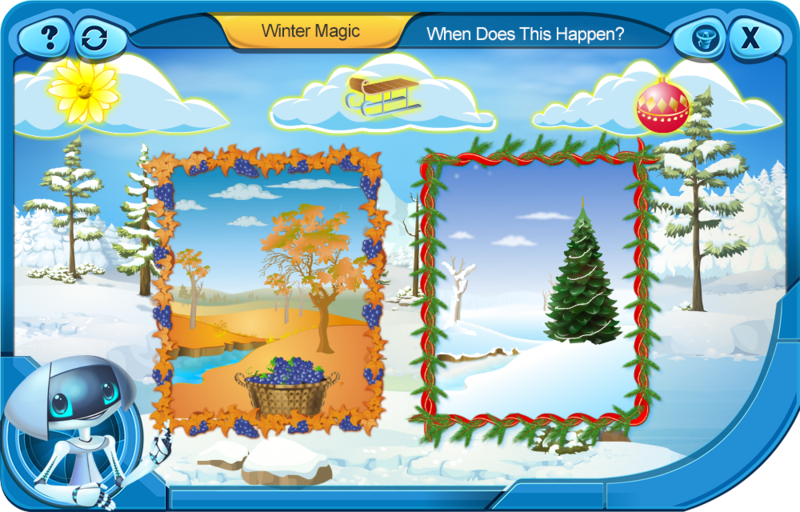 Improve both your math skills and your imagination with this game! Create a greeting card to celebrate the arrival of spring! You can pick your favorite background picture, frame, and spring symbol. Derzelis is going to introduce you to some Eastern European traditions, too! 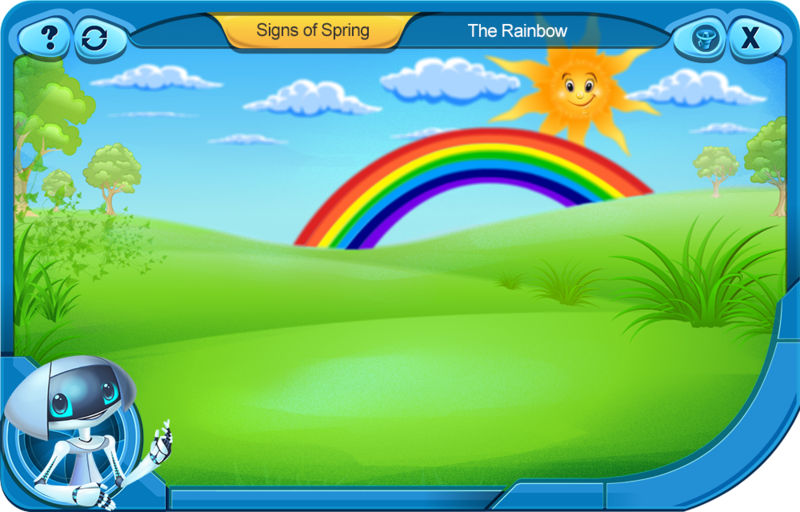 Create a spring-themed greeting card for your family and friends with this game! The challenge in this game is to restore four images of domesticated birds. Improve your knowledge about domesticated birds, your dexterity, and your spatial awareness! 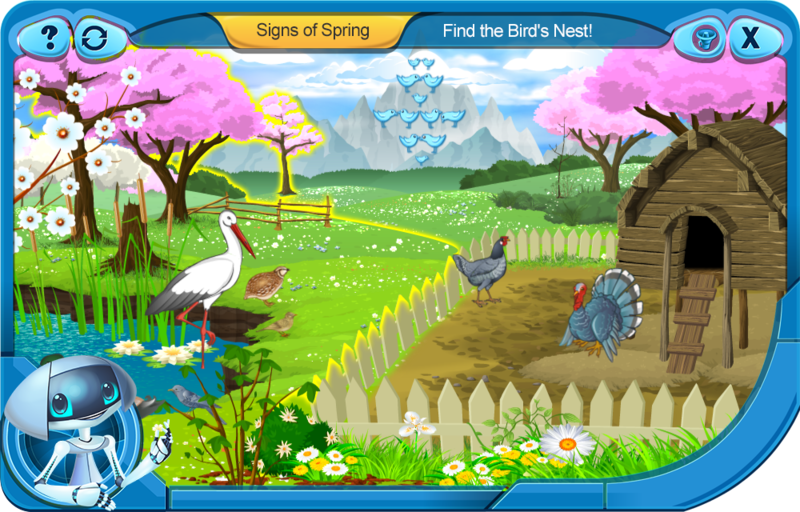 Your main task in this game is to guide each bird toward its house. Some of the birds live in the wild, while others live at the farm. 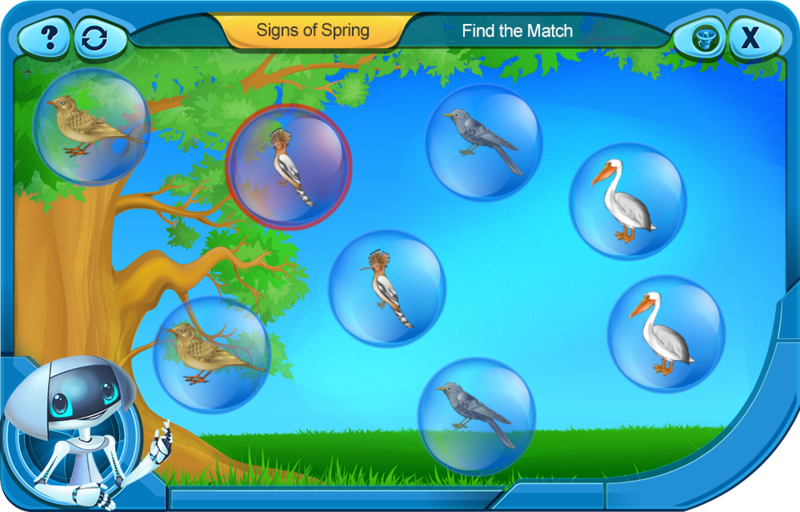 Play this game with Derzelis and discover how well you know birds! Arrange the numbers in ascending order and learn a bit more about some domesticated birds! 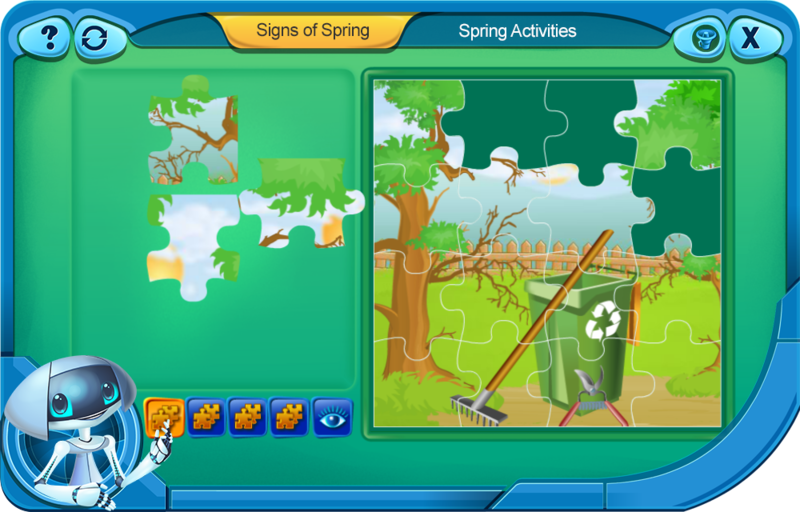 Solve the puzzles in this game to discover how gardens can be tended and adorned in spring! 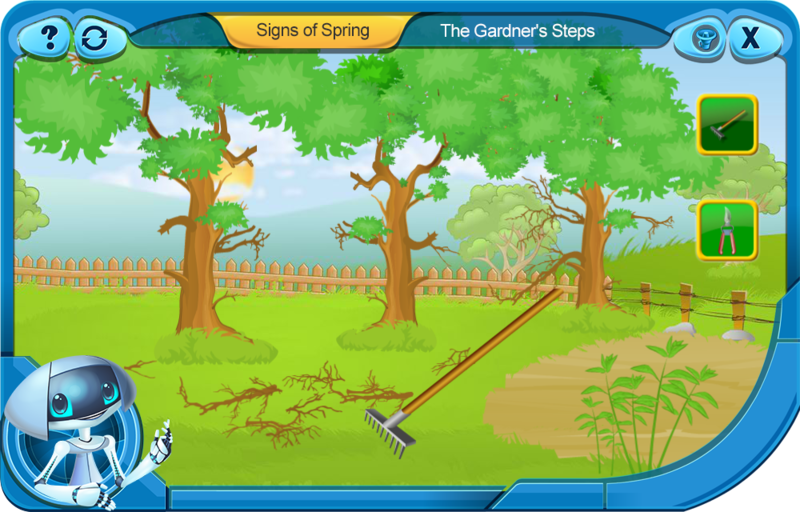 Play this game to discover what the most widely used gardening tools are made of! Lend a hand both to the gardener and to the trees in the garden! The trees need to be taken care of to recover after the frosty season and to welcome the first warming rays of the Sun properly. Fruit and vegetables are your best friends if you want to be healthy! However, you need to prepare them before eating! 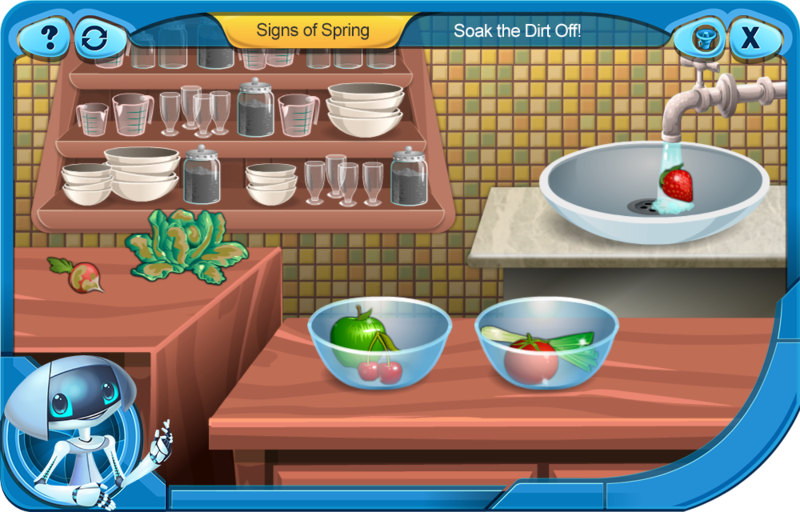 In this game, you will soak the dirt off many pieces of fruit and vegetables that have just been brought from the garden. Then, you will place each item where it belongs. Increase your organizational skills and knowledge about fruit with this game! Spring is the season of fresh fruit and vegetables! Solve the puzzles within this activity to discover the most delicious and vitamin rich fruit and veggie varieties. 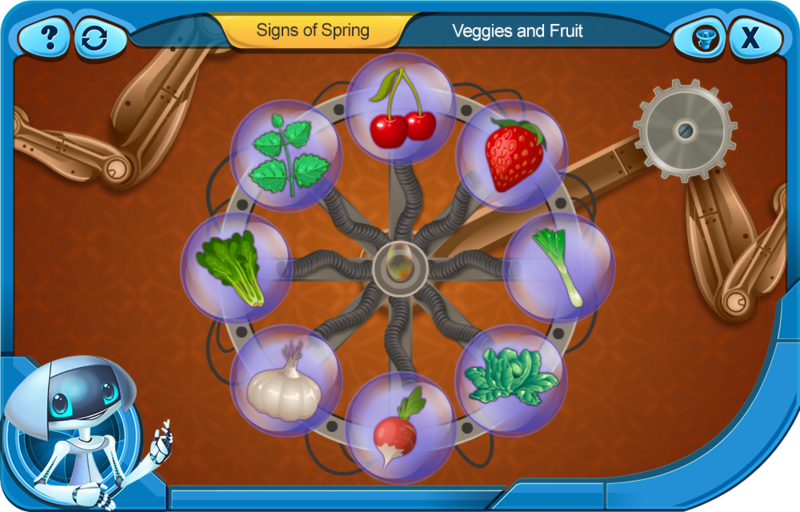 Check your knowledge on fruit and vegetables by solving the riddles that Derzelis prepared for you in this game! In this game, you will find some pairs of birds that got lost from one another. Help the birds out by reuniting each one of them with its pair! Together, they will build nests and live here throughout the entire warm season. Spring brings back all the travelling birds with their lively trills and colorful feathers. 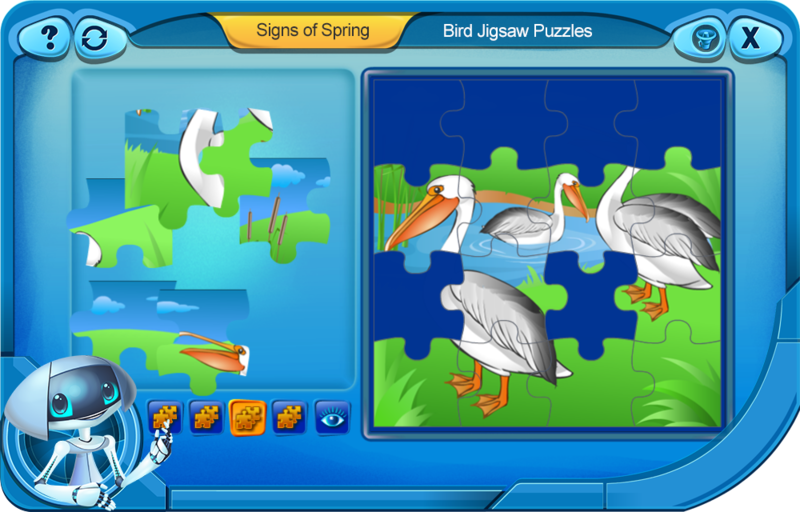 Solve the jigsaw puzzles in this game to discover four beautiful migratory bird species. The travelling birds want to build nests to shelter them during their stay here. The birds in this game are unusual – they are fond of geometric shapes! 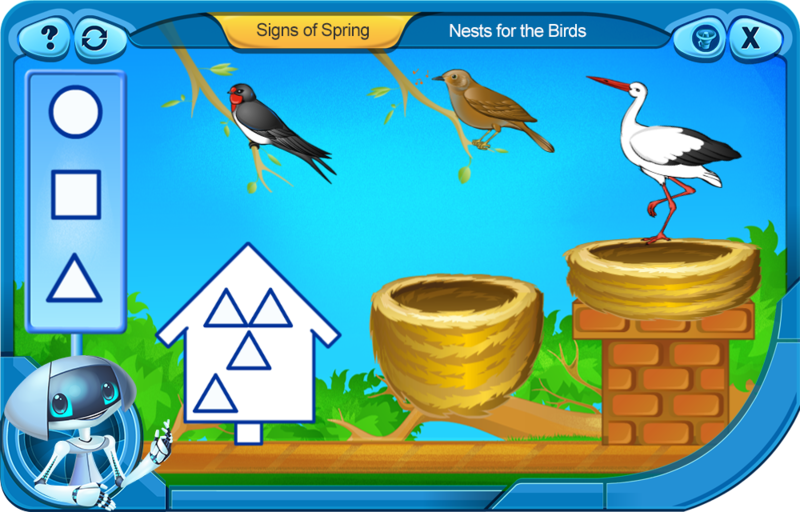 In this game, you can help each of them to build nests out of their favorite geometric shape. Test your knowledge on geometry with Derzelis! Derzelis has cut some puzzle pieces out of the pictures of many insects. Now she wants to restore the pictures, but she needs your help! Arrange the puzzle pieces and restore the images! 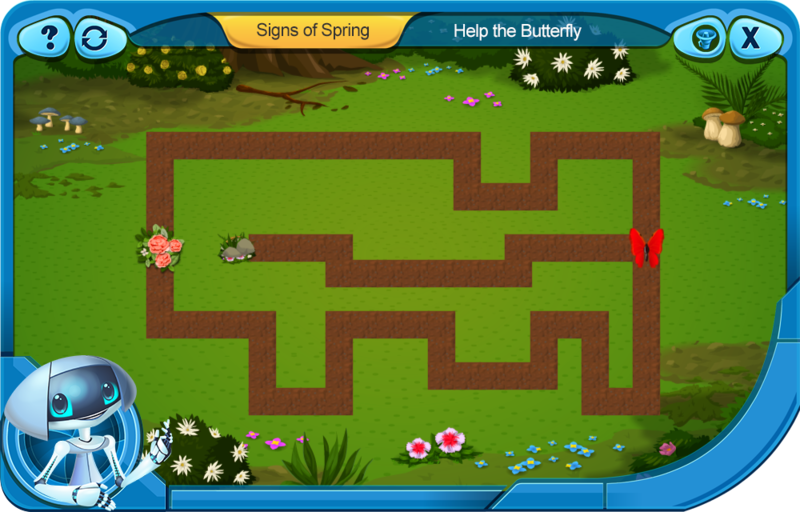 Increase your spatial awareness by helping Theo, the butterfly. He is trying to find the shortest path to a flower inside a maze. Guide him on the shortest way to that flower in this game! Aside from flowers, fruit, veggies, and birds, the warm spring weather brings us a lot of insects! Find out more about these small creatures by assembling them out of their component parts! Would you make a good gardener? Play this game to find that out! Derzelis challenges you to plant various flower species that grow in spring and to take good care of them until they are full grown! Many plants need to be taken care of by humans, but what about those that grow in the wild? 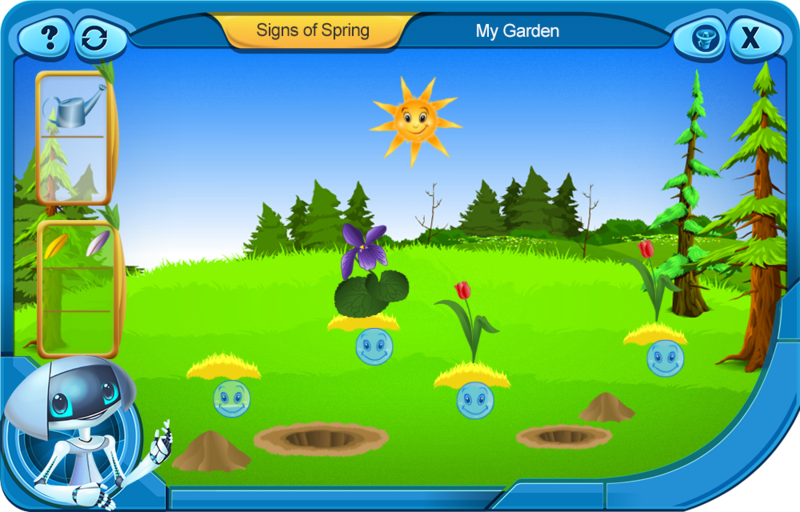 In this game, you can find out how the wind helps some plants to thrive and multiplicate! Did you know that flowers can feel the heat of the Sun, same as humans and animals can? Watch what happens to the flowers in the garden as the Sun rises in the sky, and then as its light becomes increasingly dimmer. Let’s see how familiar you are with the four seasons! 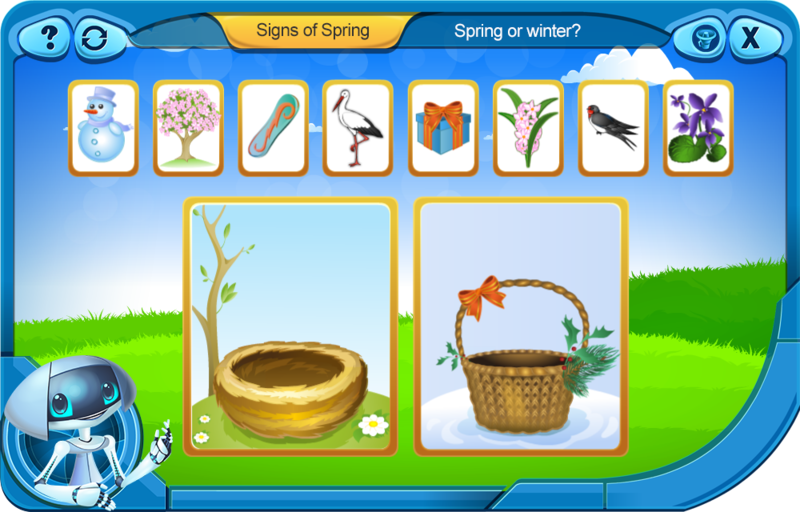 Your challenge in this game is to sort the symbols of spring from those of winter. Let’s show Derzelis what the weather on Earth can be like! Learn to count with Derzelis! 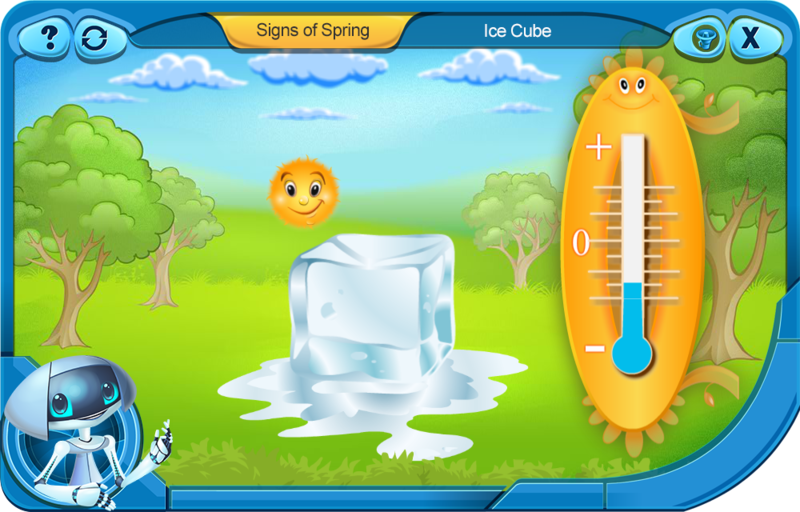 Play with the rays of the Sun and experiment with different numbers and digits in this game! 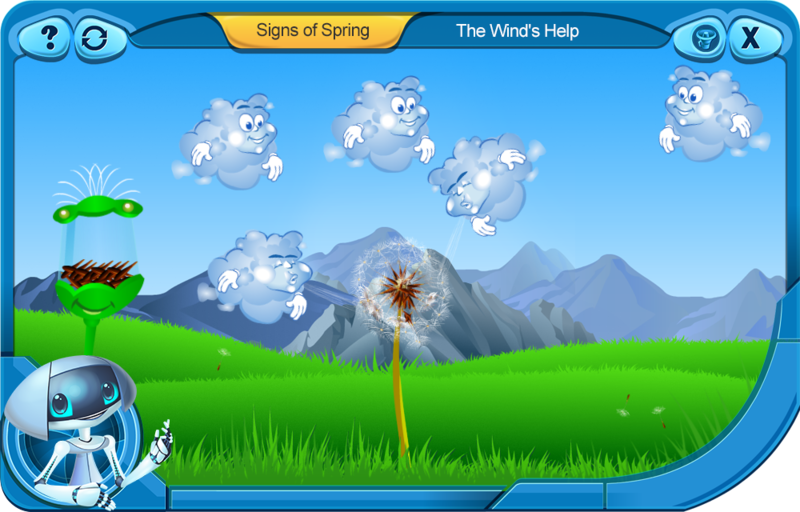 Increase your creativity and imagination by uncovering the shapes of many objects hidden in the clouds! Play this game to sharpen your powers of observation! You will also learn how to pay close attention to shapes and details. The water on Earth does not like to be still at all! Sometimes, it rises to the sky, but other times it descends back to the surface of Earth. 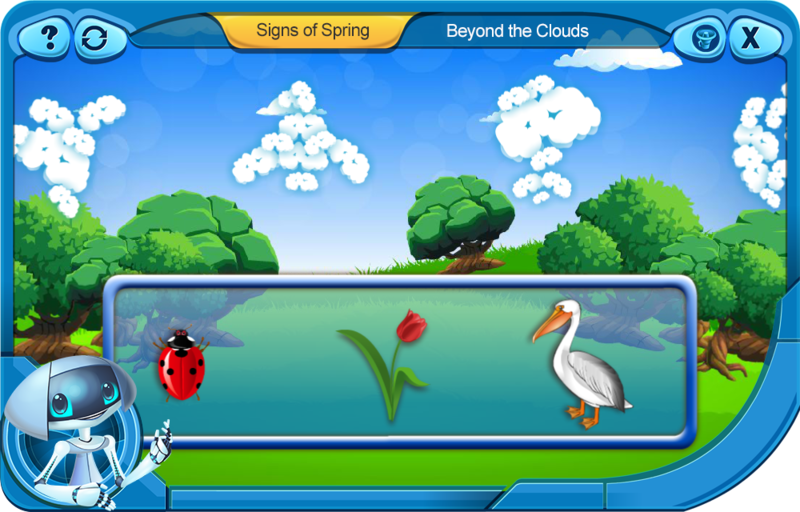 Play this game to find out more about the water cycle! Spring brings joy and well-being to every living creature! However, the ice cube does not seem to be so excited. In this game, Derzelis explains what sunrays do to the ice cube and why ice can’t enjoy the warm season! In this game, Derzelis shows you how the rainbow forms! Discover the origin of all those bright colors that appear in the sky after the rain! The Dacobots are cutting-edge robots created to teach the children of Earth important concepts. All in a fun and safe environment.